We return to unstoppable ecommerce search marketing strategy. Check out part one here, or continue on to dive right in. If planning is the playbook for search marketing, then analytics is the coach. Analytics is tasked with determining the effectiveness of your ecommerce strategies. It also informs adjustments and changes that can be made to improve performance. Just as a coach may make changes to a playbook according to the course of the game, analytics can help restructure the strategy according to the data collected. One of the most important components of analytics is measuring the results. The results provide a general picture of what is working. It ascribes immediate value and data to campaigns, channels, devices, and content. It shows what is driving engagement and conversions. This data is used to tighten up and restructure your strategy based on proven results. This creates a system where results and ROI continually improve. Thus creating a positive feedback cycle. Analytics allows us to build out a complex ecommerce consumer journey map. While the results show the final outcome, the map gives better insight into how the consumer got there. 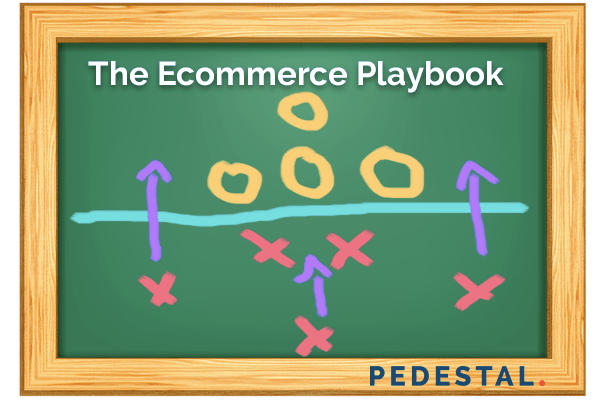 It puts all the pieces of an ecommerce conversion together. It shows what factors were essential in bringing customers to the final sale. It also identifies where dropoffs and cart abandonments occur. Some tools employed for journey mapping include omnichannel examination and heat mapping. Sometimes a channel or device may have high value despite having low conversions. Tracing the conversion path often uncovers that the final touch point before a sale was often supported by other channels. Consider Facebook advertising for ecommerce. This is a channel that is fully capable of delivering sales. Yet, it is often used as an awareness tool. Facebook is a great tool for generating awareness at a low cost. But, an awareness campaign does not typically result directly in sales or leads, whereas a platform like AdWords generally does. After running an awareness campaign it is likely that you will see a boost in your other, more direct campaigns. Tracing the conversion path will then likely show that the converting user first interacted with the awareness campaign. Another example here is on mobile devices. At this point, every ecommerce owner has heard ad nauseam that mobile search has outpaced desktop search. What you may not be hearing, is that desktop is still outpacing mobile in ecommerce sales. Even though desktop is responsible for more revenue, despite lower traffic volume, mobile is still playing an integral role. Conversion path data consistently show that most desktop conversions begin with a mobile search. Ecommerce Search marketing experts can incorporate tools to measure more forms of engagement. These can provide insights not covered by traditional tools like AdWords. Heat mapping or mouse tracking add-ons show how users engage with your site. They are great tools for discovering where page or cart abandonments are happening. They identify where changes to your website or conversion funnel need to be adjusted. Call tracking is one form of offline tracking, as not all conversions from search marketing occur online. Call tracking provides valuable insights about phone call leads. It can show when people call, where they call from, and – most importantly – what ad, channel or content led to the call. With the customer journey fully mapped out and armed with results, we are able to optimize and adapt our PPC Campaigns & SEO strategies. Accurate analytical data gives digital marketing an edge that no other advertising platform can match. All aspects of engagement are measured, so we know exactly what efforts are working. This allows for ecommerce marketing strategy optimizations that can reliably improve performance. With analytics acting as the coach, optimization is the team – with each individual optimization acting as another player. Informed by the data, these players are able to go out and make plays based on what they know is working. Optimization rolls out tighter and more effective ecommerce campaigns, by building on existing results. At the same time, it is able to test new strategies and approaches, keeping you open to new markets and other opportunities. One of the most popular methods for this is A/B testing. A/B testing is designed for continued improvement. It takes the existing approach that is working – A – and measures it against a new optimized tactic – B. After a set time, the better performing piece remains, informing the next piece. Then a new optimization is tested against it. In this manner, A/B testing results in constantly improving performance. A/B testing may not be limited to just two variations. For example, it is not uncommon for Facebook campaigns to run 10 or more campaigns at once, testing a variety of ads, messaging, and audiences. No one stage of a search marketing strategy is static. The ecommerce search marketing process is very much alive. It requires ongoing monitoring and tweaking. All sections are constantly informing each other, allowing them to restructure according to what is proven to work. 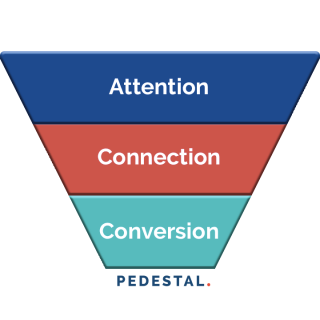 This helps to constantly move users through the conversion funnel. Get started with search marketing today and drive more profitable traffic to your ecommerce business. Build a more profitable ecommerce business with digital marketing. Contact Pedestal today to learn how we have driven growth for our ecommerce partners.